Posted on July 8, 2013 by Long Engineering, Inc.
Construction has begun on The National Center for Civil and Human Rights. The 42,000 square foot facility located at Pemberton Place, adjacent to The New World of Coca-Cola and the Georgia Aquarium. It will not only commemorate the historic struggle of African Americans but also address current and future struggles for freedom worldwide. Long Engineering, Inc. provided all of the civil site design services that included a 30,000 gallon cistern used for irrigating the roof garden and site landscaping, stormwater quality enhancement, underground stormwater detention facilities and utilities to serve the building. 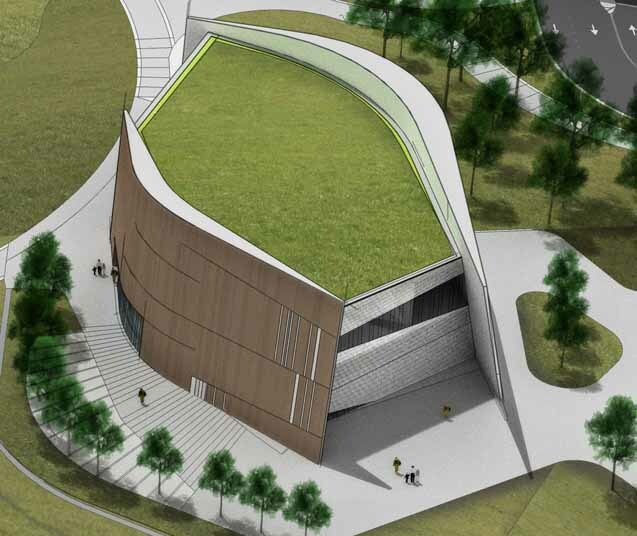 The project is slated be complete in May 2014 and receive LEED Certification. 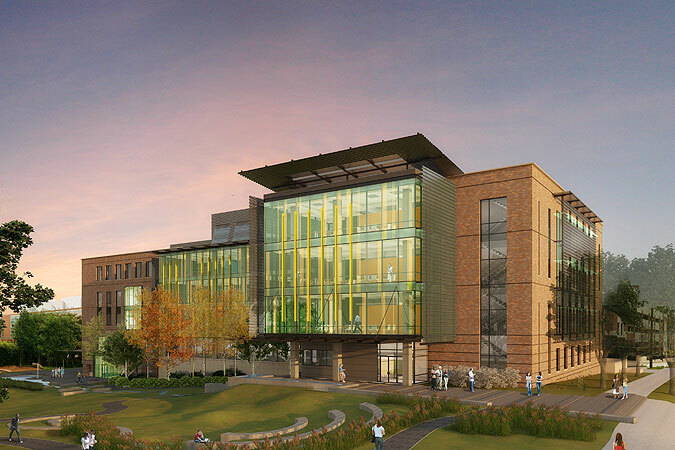 Earlier this year, construction began on Georgia Tech’s Engineered Biosystems Building, a 218,000 square foot, $113 million building located on the north end of their campus. Planned as the first phase of a three building complex, the facility is designed to provide a collaborative, multidiscipline research environment. 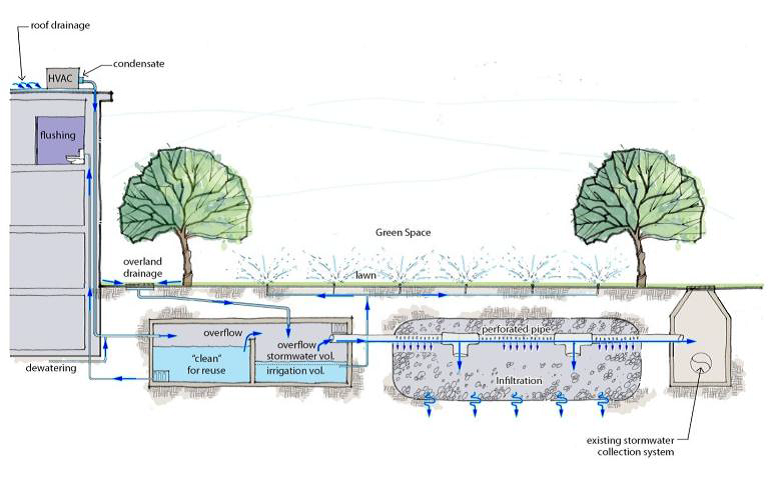 Long Engineering provided site design that included a 10,000 gallon cistern that receives foundation dewatering and building condensate to be used for flushing toilets inside the building and a 14,200 gallon cistern that reuses captured stormwater for irrigation. Included in the design was the conversion of Atlantic Street from a vehicular roadway to a pedestrian promenade, widening of State Street access modifications to the existing North parking Deck. LONG’s Transportation and Transportation Department was responsible for traffic signal modifications on 10th Street at State Street and Atlantic Drive and their Survey Department provided construction staking to McCarthy Construction, the project’s general contractor. The master plan reduces the stormwater runoff volume from Basin A by 60 million gallons annually (4 times the City of Atlanta requirement) and peak rate by 17%, twice the City requirement. Potable water use is reduced by 26 million gallons by using reuse water to flush toilets and irrigate landscaping. Long Engineering, Inc. has been hired by Cobb County DOT to replace two bridges under their 2011 TSPLOST program. The first site is at Old Stilesboro Road over Little Allatoona Creek and the second is Stout Parkway over Gothard’s Creek. Both jobs are for turn-key services from concept to final construction plans and will replace these two functionally obsolete bridges. Construction will likely take place over the summer of 2014. The State of Alabama has initiated a local infrastructure program funded by GARVEE bonds called the Alabama Transportation Rehabilitation and Investment Program (ATRIP) which funds almost $1B of work over four years. Long Engineering, Inc. is under contract to provide bridge design and bridge hydraulics services on a number of these bridges in north Alabama. We are working with local consultants to get the projects under construction on accelerated schedules. Long Engineering, Inc. has been selected on several teams to provide Construction Engineering and Inspection in Districts 1 and 7 for the Florida Department of Transportation. Long will be providing Senior Inspectors and Inspectors in the following Operation centers: Ft. Myers, Sarasota, Tampa, Brooksville, and Clearwater. Three Regions in the State of Georgia voted to apply a 1% sales tax to improve the transportation in their region. The three Special Districts which voted to levy the special district transportation sales and use tax are: Central Savannah River Area; Heart of Georgia Altamaha; and River Valley. Long is part of a team that will provide Construction and Engineering Inspection for these projects. The Project types may include widening and reconstruction, rehabilitation of asphalt and concrete pavement, bridge replacement and construction, and resurfacing.